The High Zed Black has now been upgraded to include a more luscious padded seat. With the ever popular z-shape the High Zed Bar Stool offers excellent value with a designer look, and is the solution when you require a high bar stool, perfect from higher work surface heights. Lavish padded and soft black faux leather sculpts the backless seat so comfort is placed at the utmost importance and maintained for your needs. Cast in sturdy chrome with a unique structure and semi-circle footrest the High Zed is a beauty to look at and is beneficial with adjustable height feet to protect your floor. 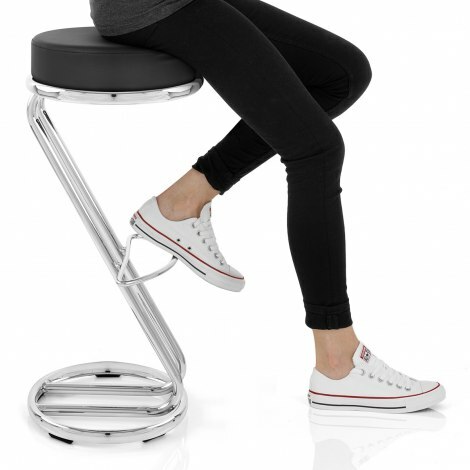 "A modern stylish stool at a very reasonable price"
Very goood value and good price. First class - just what we wanted ! 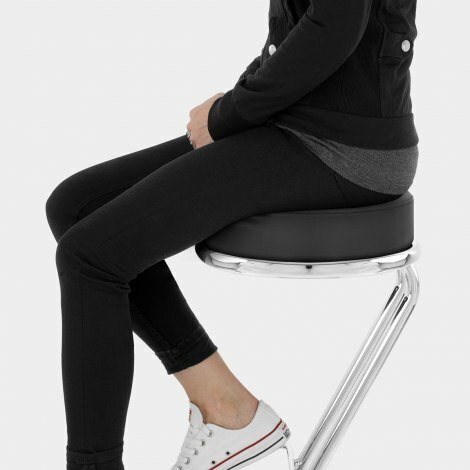 A modern stylish stool at a very reasonable price.